The latest mobile panic buttons are designed for business, education, healthcare, hotels, and other organizations. The mobile panic button provides advanced capability and operates through cell phone services so are not tethered to one location. They can be used anywhere there is a phone connection. The new panic buttons have key features designed for business applications. The features include GPS locating, monitored travel, two-way conversations, silent monitoring of audio, operate anywhere, and include a flexible safety center. The safety response center can be any place you choose. It is not tied to any specific service. You can establish a response center in your corporation, at the hospital, in your school, or hotel. Historically, panic buttons were used for medical emergencies in the home. These panic button systems were generally tied to a specific emergency answering service that helped to verify and provide emergency response. Here’s how the new mobile panic buttons are used in business, schools and commercial organizations. To determine the best surveillance camera, you must first understand your objectives. The purposes of your surveillance system include increased safety, reduced theft, improved productivity, or reducing liability. It also includes how quickly you need to be notified of an alarm condition. Do you want to know when a person steals the laptop from the desk or leaves an unattended package, or do you need to record what happens in the parking lot? 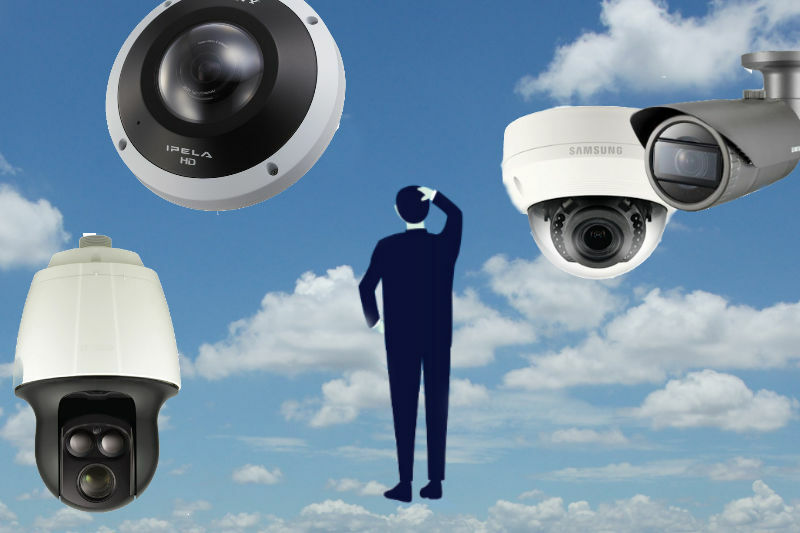 This comparison of IP cameras focuses on the cameras. The camera is only one part of the IP camera system. The complete surveillance system includes a video recording and management system, network switches, and video storage system. Wi-Fi went down during family dinner tonight. One of the kids started talking and I didn’t know who she was. My email password has been hacked. That’s the third time I’ve had to rename the cat. I assert dominance over millennials by responding to their texts with phone calls. What’s the difference between a lawyer and a jellyfish? One is a spineless, poisonous blob. The other is a form of sea life. Panic buttons can be added to security systems to increase safety and security. For example, these alarm buttons can be integrated into a security system such as surveillance camera systems, Paging systems, and door access control systems. Placing panic buttons in strategic areas can help to assure quick response to emergencies. There is even a mobile personal panic button that can be carried with you. Emergencies occur without warning. It could be a health problem, an active shooter situation, or a criminal attack. The panic button provides rapid emergency notification. Here’s how to add panic buttons to security systems. When I started working for IBM many years ago, all the new employees had to go to training classes. They taught us all about their products. I found that I not only had to learn about their technology but also about the abbreviations and acronyms they used. When I left IBM to work at another engineering company, I learned that many of the abbreviations I learned at IBM were not used in the general industry. I had to learn a new set of abbreviations and acronyms. You may have also noted that the government has their own language. I went to a bookstore and asked the saleswoman, “Where’s the self-help section?” She said if she told me, it would defeat the purpose. If we could just find out who’s in charge, we could kill him. Some people see things that are and ask, Why? Some people dream of things that never were and ask, Why not? Some people have to go to work and don’t have time for all that. Most people work just hard enough not to get fired and get paid just enough money not to quit. Door Access Control and IP Camera Systems provide security by themselves. When the two systems are integrated, they provide a higher level of security and safety. There are some different ways to integrate cameras and door control systems. There are proprietary systems that only support specific hardware, and there are non-proprietary system solutions that can use more general hardware. This article provides the pros and cons of the different methods for integrating these security systems. If olive oil comes from olives, where does baby oil come from? If your car could travel at the speed of light, would your headlights work? Two antennas meet on a roof, fall in love and get married. The ceremony wasn’t much, but the reception was excellent. IP Door Access Control Systems are easy to install and provide excellent flexibility. There are RFID proximity IP readers and biometric door readers such as fingerprint or facial recognition readers, that connect to the network. In many cases, you can use PoE to power the reader and the electric lock. An IP door access control reader is different from the older Wiegand door readers. Instead of connecting to a control panel, the door reader attaches to the network. All the intelligence is inside the reader. It maintains the rules and holds the database of users who can access the door. This means that even if the network is down, the reader will still operate (if it has power). The door access software is used to manage and edit the information that’s stored in the readers. It only communicates with the readers when there is a change in the information. This article takes the mystery out of network attached door access control systems and describes how to install them. IP paging speaker placement and sound volume settings are key to providing clear sound in the school. Whether there is a general announcement or an emergency message, it’s important that the instructions can be heard and understood by everyone. Network attached IP speakers are easy to install, but they must be placed in the right location, and the sound volume must be correct so that all locations are covered with clear sound. This article provides guidelines for selecting the right IP paging speakers for your school. The article also helps you determine the number of speakers you need, and the amplification required.